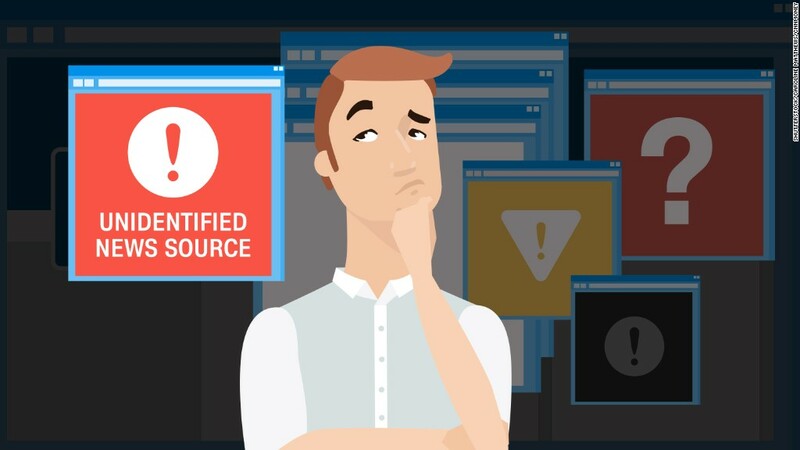 The internet and social media are great resources for finding information, but they're also the perfect vehicles for spreading misinformation. Fake news stories have been particularly prevalent during this election cycle. On Tuesday, Fox News host Sean Hannity shared a story about President Obama and the First Lady deleting tweets that endorsed Hillary Clinton. The only problem was that story wasn't true. Hannity later apologized on his radio show, but it was a perfect example of how big names in news can spread fake stories. In October, a story claimed that "tens of thousands" of fraudulent ballots had been found in a warehouse in Ohio. The ballots had supposedly been cast for Hillary Clinton and were found inside sealed ballot boxes that would be counted alongside real election ballot boxes. The story, first published online by the Christian Times Newspaper, was disproven by Snopes -- but not before it went viral. One website's version of the story was shared with over 6.1 million people, according to Crowdtangle, which tracks the reach and performance of social media posts. A story claiming that Megyn Kelly was fired by Fox News began circulating in August. It said Kelly was allegedly let go after she endorsed Clinton, criticized Donald Trump and suffered a drop in ratings that placed her behind MSNBC's "The Rachel Maddow Show." The story was traced to endingthefed.com and was proven to be false -- in fact, Fox News recently offered Kelly over $20 million a year to remain with the network. Still, one version of the fake story was shared with more than 724,000 people. It was also shared by a "Colorado for Trump" Facebook page. The NBA did eventually move the 2017 All-Star Game out of North Carolina -- but not until July. In April, a story surfaced that said the game was canceled in protest of North Carolina's anti-gay bathroom bill. It was published on a fake site posing as ABC News. The fake story was picked up and reported by real news sites like Cleveland.com and NBC Sports' ProBasketballTalk. Eventually both sites issued corrections. The original fake story was shared to more than 2.4 million people on social media. A Keith Olbermann fan page on Facebook was the top source of shares. In March, a completely fabricated New York Times site published an article claiming that Elizabeth Warren was endorsing Bernie Sanders for president. The story copied the fonts and design of the New York Times, and even used the bylines of two of its political reporters. The Times was forced to address the fake article and clarify that the site on which it appeared was fraudulent and in no way connected with the real Times. The original fake article was shared to at least 700,000 people. The top source of the shared link was a Facebook page called "Bernie Sanders -- The Revolution Continues." In November 2015, a story claimed that Milwaukee County Sheriff David A. Clarke had been exposed as a member of the Ku Klux Klan. The story about Clarke, who is African-American, was published by a website called the National Report, but eventually disproven. Before the story was discredited, it was shared to more than 449,000 people. Comedian DL Hughley even posted the story on Twitter to his hundreds of thousands of followers.